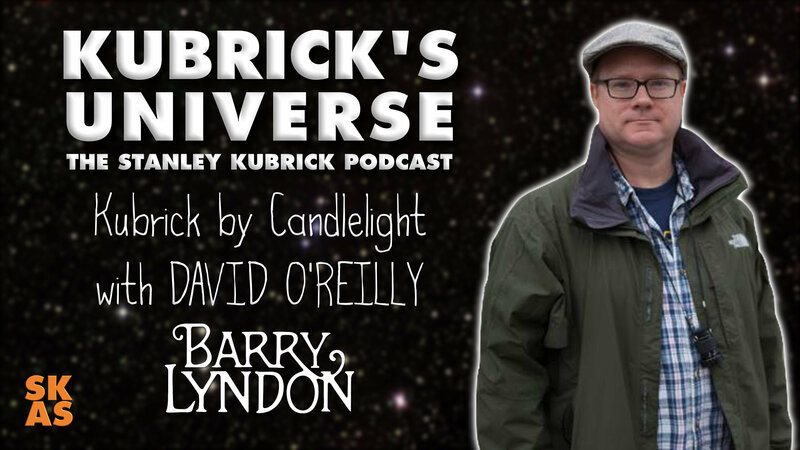 06 David O'Reilley : In this episode of Kubrick's Universe, we have a good old natter with film director David O'Reilly about his latest film Kubrick By Candlelight and they also cover Kubrick's Barry Lyndon. David O’Reilly is a leading feature film location manager, and has worked on many well-known movies over the years. He has worked closely with directors Christopher Nolan, Tim Burton and Michael Mann covering films such as Inception, The Dark Knight Rises, Charlie and The Chocolate Factory, Miss Peregrine's Home for Peculiar Children, and Blackhat. David has also managed locations for the Harry Potter, Fast & Furious, X-Men, Mission Impossible and Star Wars franchises. His latest film is the new, as yet, untitled Han Solo film. David has also written for various sketch shows for the BBC as well as having won the BBC Funny Hunt in 2006. After spending the last 2 x decades working with some of the worlds greatest film directors, he has now written and directed his own film, Kubrick by Candlelight, which is a story set amongst the backdrop of when Stanley Kubrick went to Ireland to shoot Barry Lyndon in 1973.